Written on June 24, 2018 . Posted in News, Solar Energy, Sustainability. One of the most effective ways to reduce operating costs is by managing your energy consumption, and cutting your energy bill. Many property owners turn to strategies like solar, which is beneficial, but relies heavily on rebates and good weather. They also don’t address the real problem; why they’re using as much energy as they are. How about, if instead of trying to cut costs by generating more energy, you simply decreased what you were already using. At Naya Energy, we believe that an energy audit is the first step to managing your energy consumption. You need to understand your electricity consumption to understand your energy bill, which allows you to interpret how you’re being charged for electricity, what’s consuming more energy than it should, and where you can improve your bottom line. Once you understand your electricity bill, you can implement a more comprehensive energy management system/software, which collects tons of real-time data that can drive smarter business decisions, track return on investment, and increase energy savings. Why is Energy Data Measurement Important for Commercial Buildings? Collecting and understanding energy data is not only important when it comes to reducing energy costs, but also when it comes to making more intelligent operational decisions. Data is knowledge, and knowledge is power. When you understand how much energy you’re using and how you are using it, energy expenses move from being an unchangeable, accepted, burden of month-to-month operations to a valuable business tool. 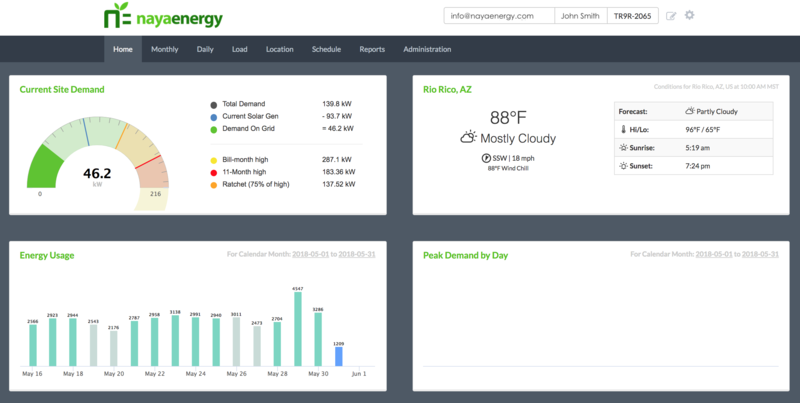 As electricity bills continue to rise, due to increasing demand charges (particularly in a heat-intensive place like Phoenix, Arizona), property owners become more and more dependent on intelligent energy management systems that can collect data and interpret it in a way that is most valuable to the business. This can often mean providing actionable insights and issuing custom recommendations to the property manager or building owner on ways to reduce energy consumption, save money, or prevent equipment failure. The costs associated with energy can be reduced by optimizing building performance, reducing demand by streamlining efficiency, and cutting unnecessary energy usage whenever possible. How Do We Reduce Demand and Energy Charges? The answer returns to knowledge. Ask yourself; how much energy is being used, and by what? Why is that one small air conditioning unit you forgot you had consuming so much energy at 2 am in December? These questions (and more) find their answers in the vast amount of data that your building generates without you even knowing it – and most businesses around the world have realized it. The Global EEI (Energy Efficiency Indicator) found that over 80 percent of businesses were already tracking, or had planned on tracking and using energy data. How can you possibly know how much energy one refrigerator is using, let alone every piece of equipment in your commercial building, cold storage warehouse, or manufacturing facility? Collecting this kind of data is the first step to making changes that help you save money and electricity. Fortunately, there are many energy management resources that you can leverage to gain this knowledge. Companies like Naya use BMS or Building Management Systems to gain information by monitoring the consumption of all your electrical devices. The data collected and analyzed in real-time. It’s like having a sentinel that keeps a watchful eye on every piece of equipment, while having a big data scientist that constantly crunches the numbers to make sure everything is efficient and optimized. The second it sees you approaching your peak demand, or recognizes that you could save money, an alert is sent directly to your phone with specific instructions like “turn off HVAC unit 8 connected to the office and shut door 3 to avoid increased demand charges”. Another effective way to understand your energy consumption, and to ensure your energy goals are being met, is with a monthly or quarterly energy audit, This includes an electricity bill analysis, as well as an on-site analysis. The bill assessment analyzes your electricity bill, including how you’re being charged, and whether you might be overpaying. 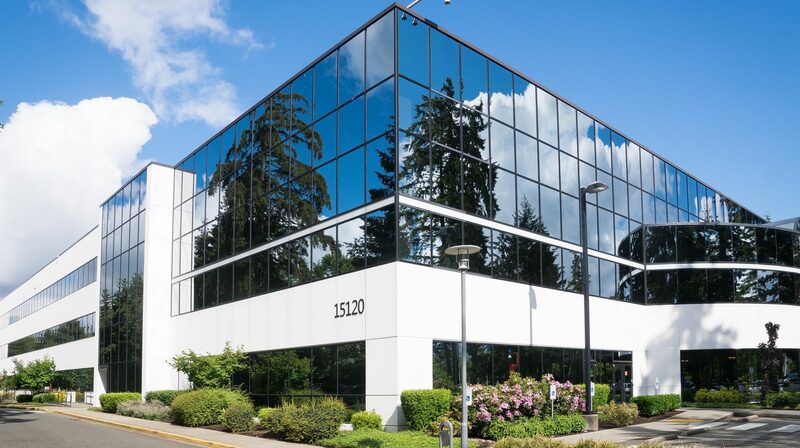 The site assessment analyzes your entire building to help you understand how energy efficient your building is, and reveals specific areas that you might be able to improve. While monitoring your energy bills is one way to learn about how energy usage affects cost, and solutions like power meters can be used to collect data, it is essential to know what the data means. What Is Analyzed In The Energy Data? Often, analyzing 1 year of energy bills is enough to start seeing trends. Now you may be wondering how that can help; it has everything to do with understanding energy use and energy cost. Knowing that the most expensive time of the year for you to run your refrigeration plant is during the months of June July and August, tells you something. It could be that your building has an insulation problem, or that your air conditioning is running overtime to try and keep the space cool. It could alternatively be that that’s just how much you actually need to offset the heat, or it could be that from June-August is the busiest time of the year for you. Every situation is different. That said, some other information like space type, whether it is air conditioned, how many computers are in the building, etc. are all factors that increase the amount you can learn from the data. How Does Data Create Value? While the data collected may just seem like numbers and general trends, it is in fact a powerful tool for better understanding the energy ecosystem of your space, and being able to access actionable information in real time. What I mean by this is that if you know what your data trend should look like at any given time, and you are getting constant and live updates, disasters such as power-outages or surges can be prevented because of information received beforehand. The same way that the body exhibits signs of distress before a heart attack (pain in left arm, shortness of breath etc.) before a catastrophe, often the machinery overall ecosystem will provide warning signs that action should be taken. Knowing what that blip in the data is, and what is occurring inside your building, are what make data so valuable. Arming yourself with the power of data, and being able to understand and unpack the information and how it affects you, is the first step to a more cost effective and efficient business. Tracking your energy consumption allows you to optimize it, and understand whether your asset is overvalued or undervalued, and by how much. When you make smarter decisions, you reduce your operating expenses and increase your net operating income. This provides multiples in property value generation for years to come. If you’re interested in learning more about how you can use data as a tool to increase your bottom line, fill out the form below and a Naya representative will reach out to your shortly.